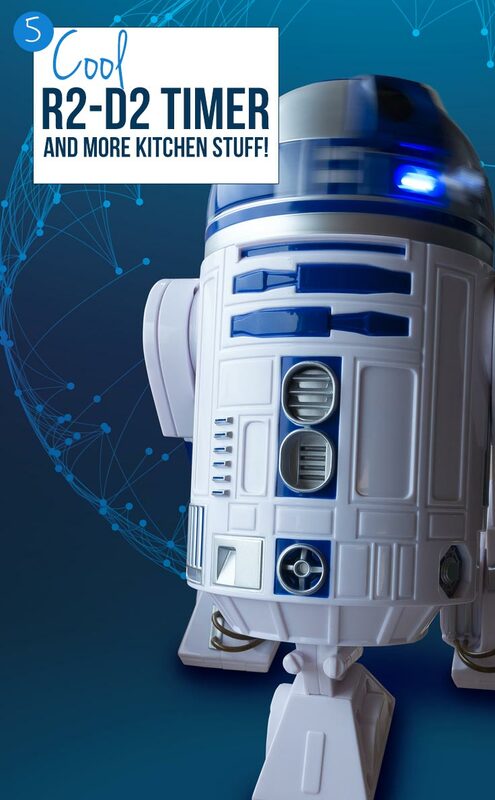 This R2-D2 kitchen timer is just brilliant, and would make a fabulous gift for any Star Wars fan who loves to cook or bake. The little guy’s head spins around as the timer counts down! 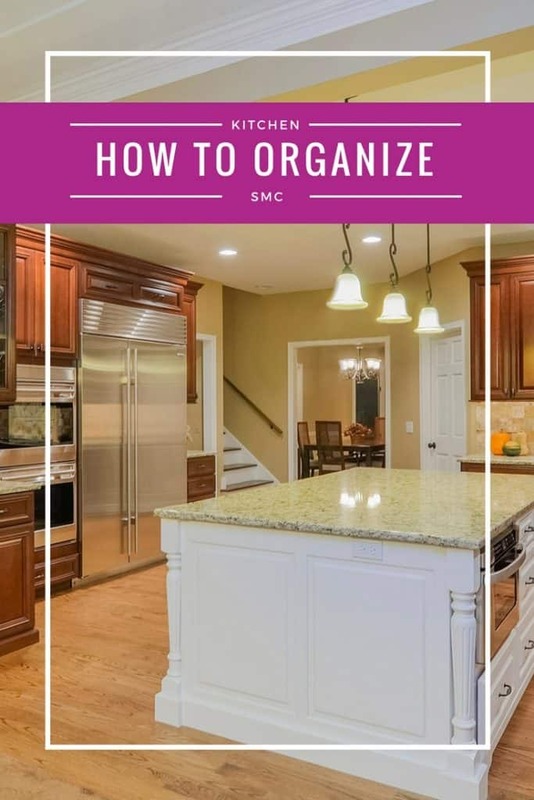 You can set it for up to 60 minutes and there is an alarm so you know it’s done. 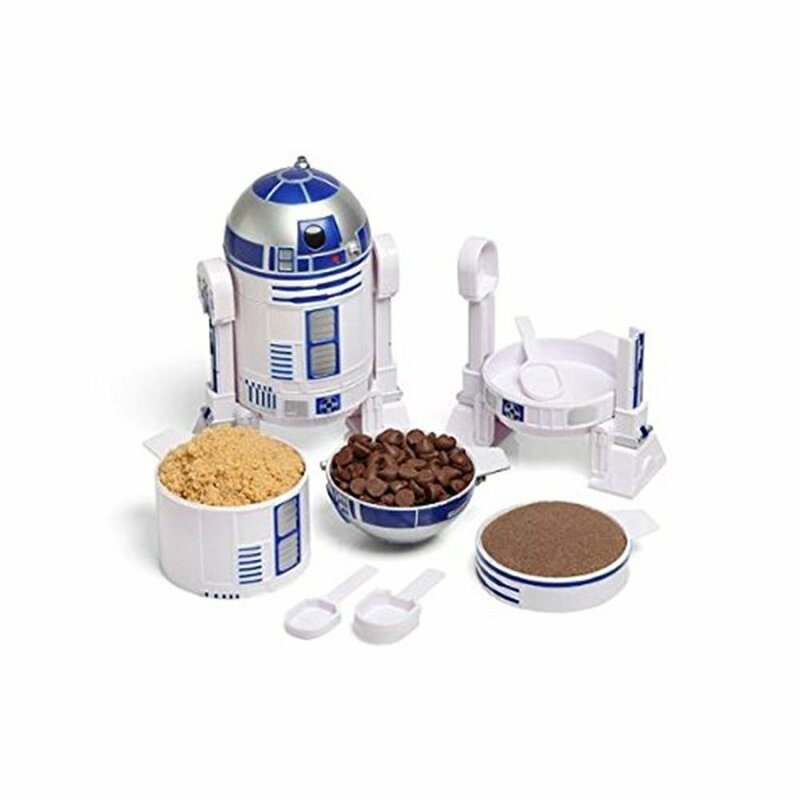 Here’s another brilliant R2-D2 surprise for a budding baker, he comes apart to form a series of measuring cups. Clever right! 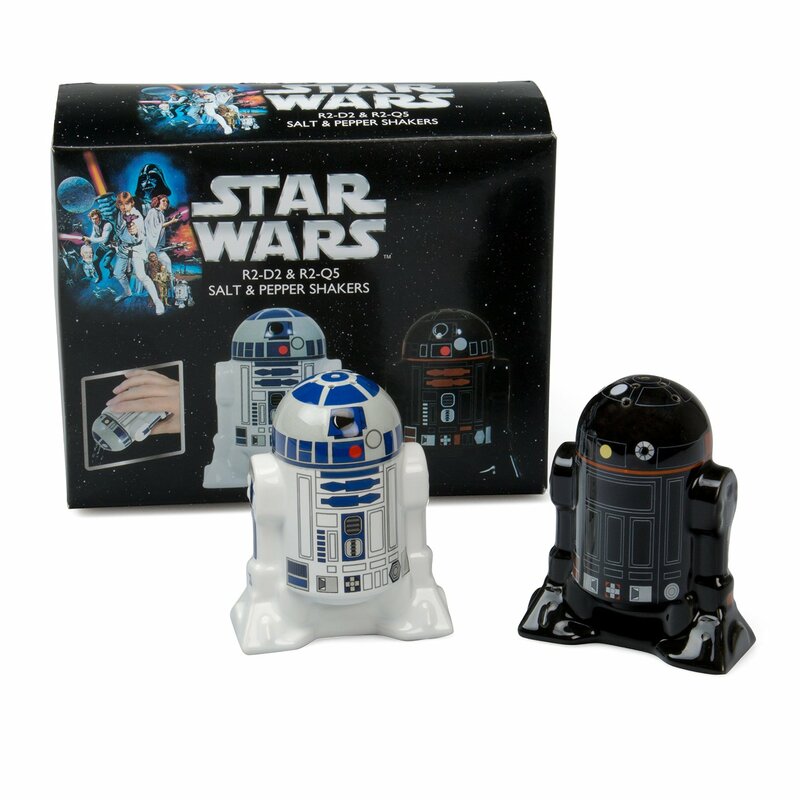 R2-D2 is joined by R2-Q5 in this super cute salt and pepper shaker set that would bring a touch of the force to any dinner table! They’re moulded ceramic and the detail on them is pretty impressive. 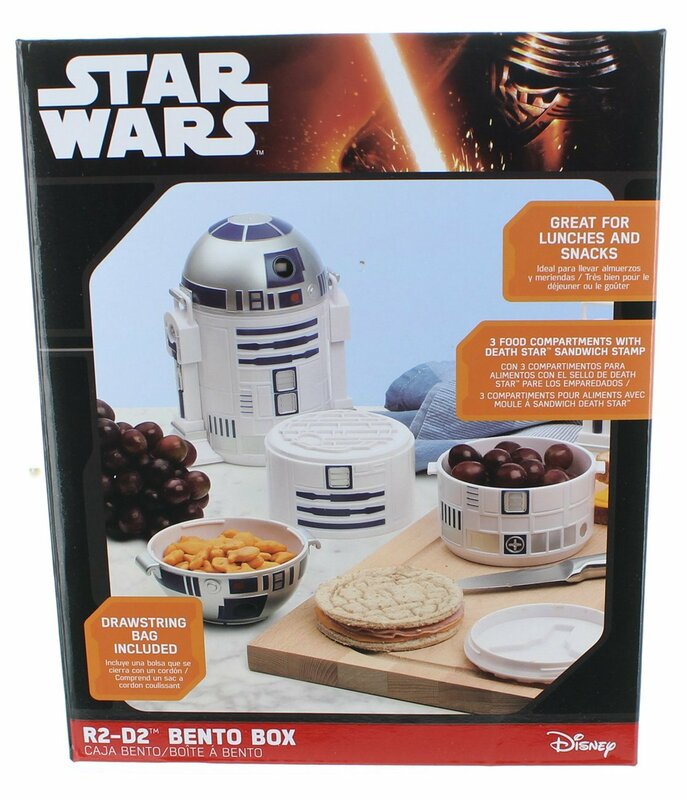 Your child (or you) will be the talk of the lunch table when they show up with this awesome Star Wars R2-D2 bento box! R2 comes apart and each section is a different size storage box for your lunch items, and when you’re not eating his legs keep everything stuck together and air tight. 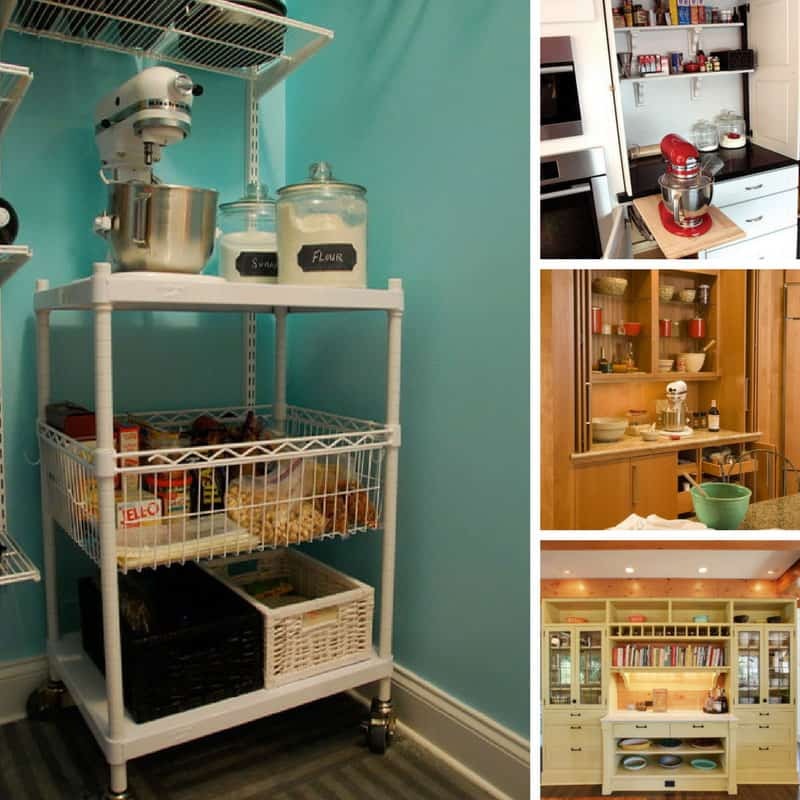 But this is more than just a bento box because you can use the seal on that top part as a round sandwich cutter and then use the middle section as a sandwich press to create your own Death Star sandwich! If your kids always forget to drink their water because it’s just so boring treat them to one of these R2-D2 drinks bottles. 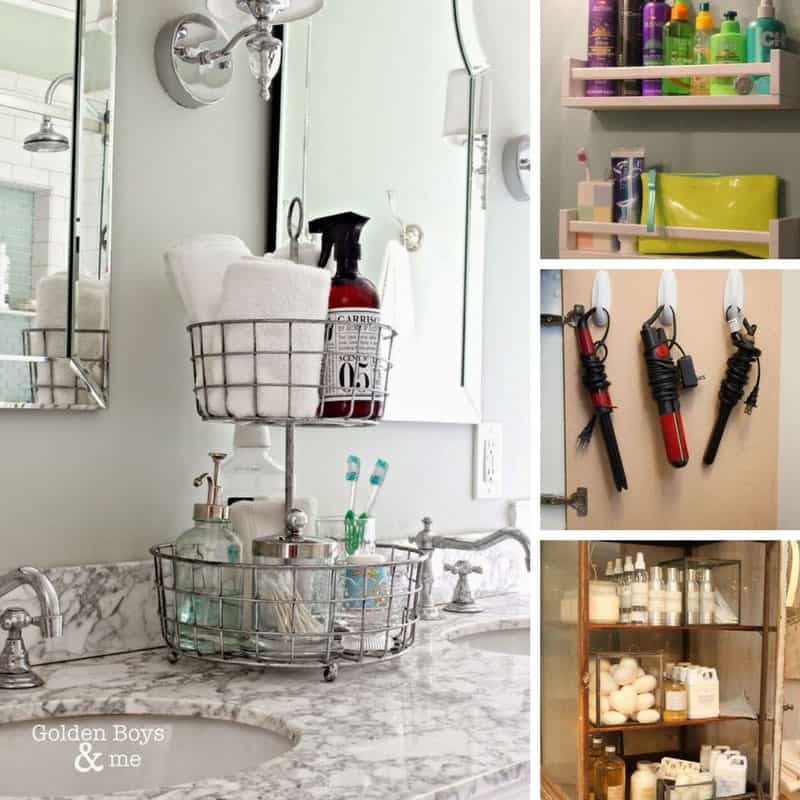 They keep drinks cold for up to 12 hours so they’re great for school or days out. 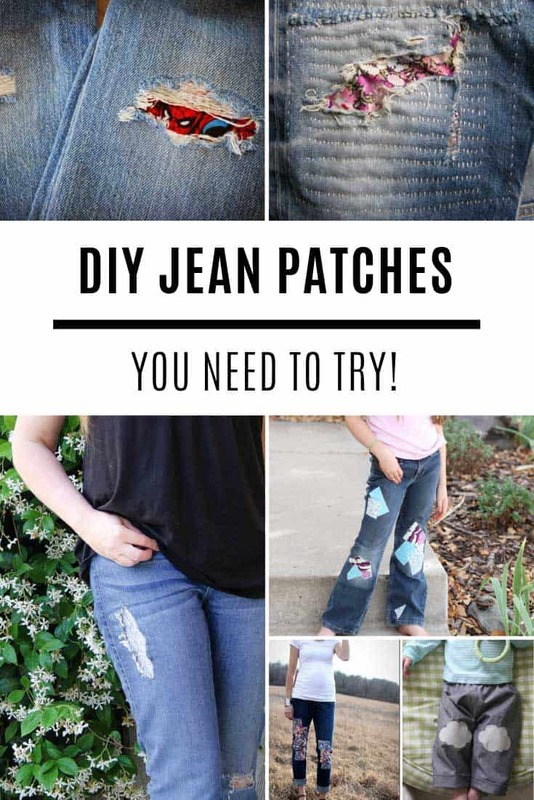 And they’re such a great price you might as well treat yourself too! 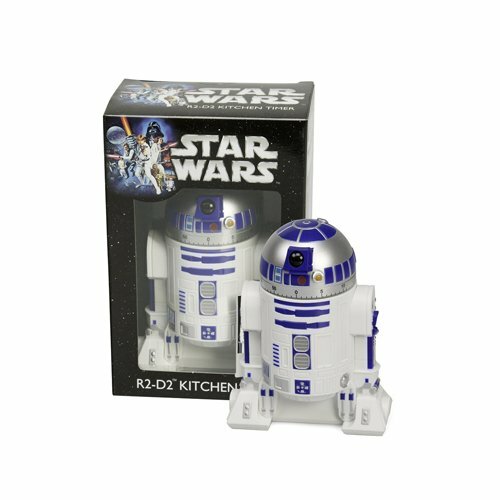 You have to agree that having an R2-D2 kitchen timer would make cooking a whole heap more fun right?